The ab GLIDER combines two motions: the Circular Burn and the Arc Crunch for a fast, fun workout of your ABS and entire core. You'll engage more muscle, get a better cardio workout and BURN 2X MORE CALORIES than other AB machines. Ab glider works your body on all three planes of movement. These move your body forward and back, side to side, even rotating it to activate your upper and lower abs and fire your obliques! This rotational muscle activation creates an amazing fun – fast - effective workout! Circle Gliding is so easy that virtually everyone can do it. Just put your feet on the non-slip swivel platforms and glide. Instantly spin from one exercise to the next without stopping. Gym-Quality construction that supports up to 250 lbs.! Easy to store under the bed or in the closet! Fun, simple workouts perfect for all fitness levels! 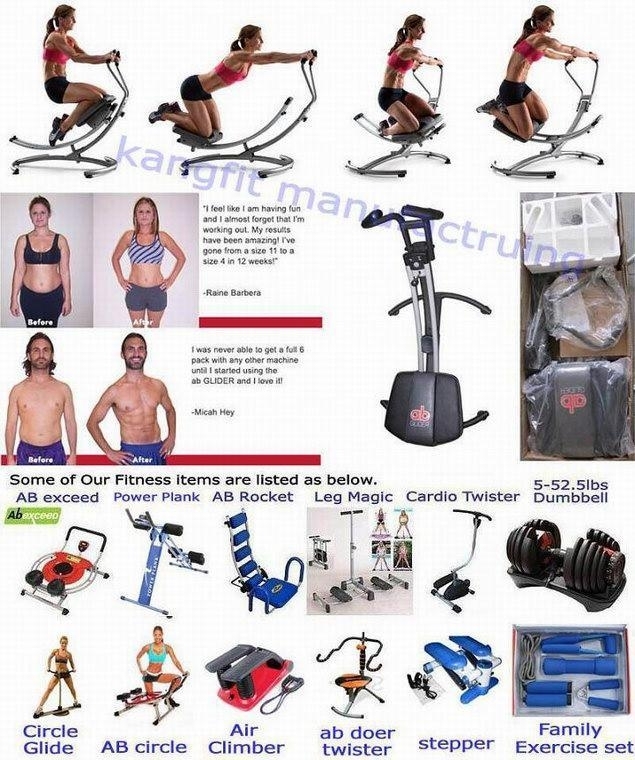 Revolutionary “Triple Plane Technology” offers unlimited exercise motions for a fast, fun and effective workout! Total Upper & Lower Body Workout You Get All This with the CircleGlide Pro! No.21 Feifeng Road,Chengxi Industry zone,Yongkang,zhejiang,China.